If it looks like I'm not going to be able to use the vegetables from the Community Supported Agriculture (CSA) farm share in a timely manner--I get busy. Well, my freezer gets busy. For summer squash, and zucchini, I shred and freeze in 2 cup portions. [I've found once thawed and squeezed dry that the bulk of shredded squash is reduced by half, so if I want a cup I freeze double.] For peppers and leeks I chop into small pieces and freeze on a tray before transferring to a bag for storage. This way I've got vegetables handy year round and I reduce the amount of wasted food that our farmers grow. Yes, I do require an additional freezer--it also serves as a microwave stand so everything fits in my little old kitchen. While I am capable making my own Slow Roasted Tomato Enchilada Sauce, when I want to get dinner in the oven quickly it's nice to grab a can of prepared sauce, some prepped vegetables, and just get going. I had my daughter cooking the tortillas and my son shredding the cheese while I made the filling. These assembled very quickly. Adding cooked rice to the vegetable mixture gives a nice "chew" factor, which I am sure isn't really a thing, but no matter. These are delicious. Preheat oven to 375 degrees Fahrenheit and a large skillet over medium high heat. Add a splash of oil, and when it's hot sauté the onion and pepper 3 minutes until beginning to soften. Add garlic, squash, and chiles and sauté until softened, another 5-8 minutes. Stir in rice and about ⅓ cup enchilada sauce to vegetable mixture, then set aside. 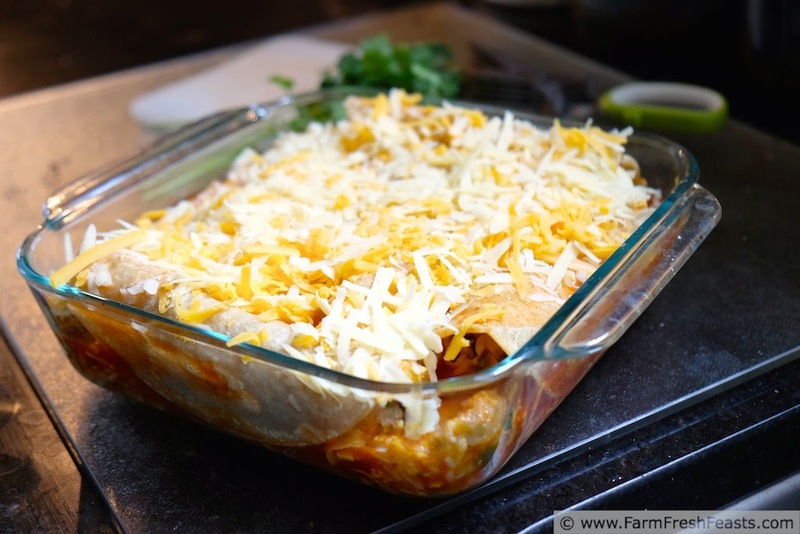 Pour about ¼ cup enchilada sauce in the bottom of an 8 inch baking pan. 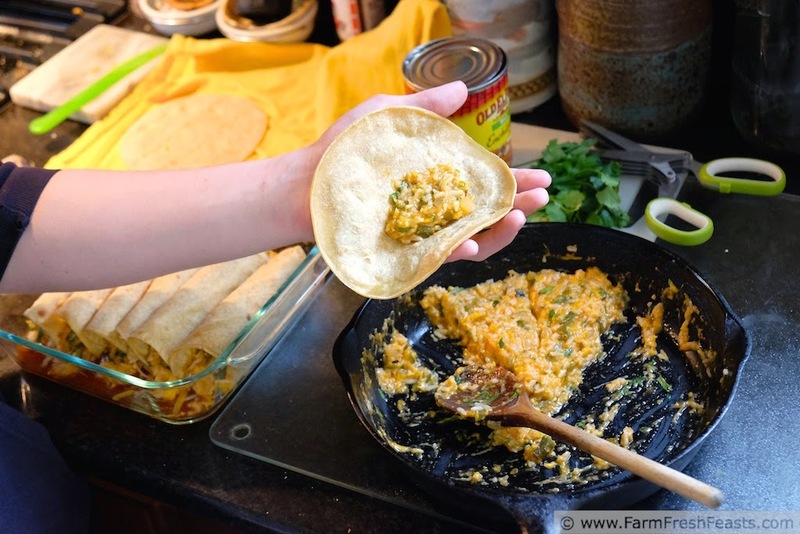 Add ⅛ of skillet mixture and a sprinkle of cheese to a tortilla, roll it up and place seam side down in prepared pan. 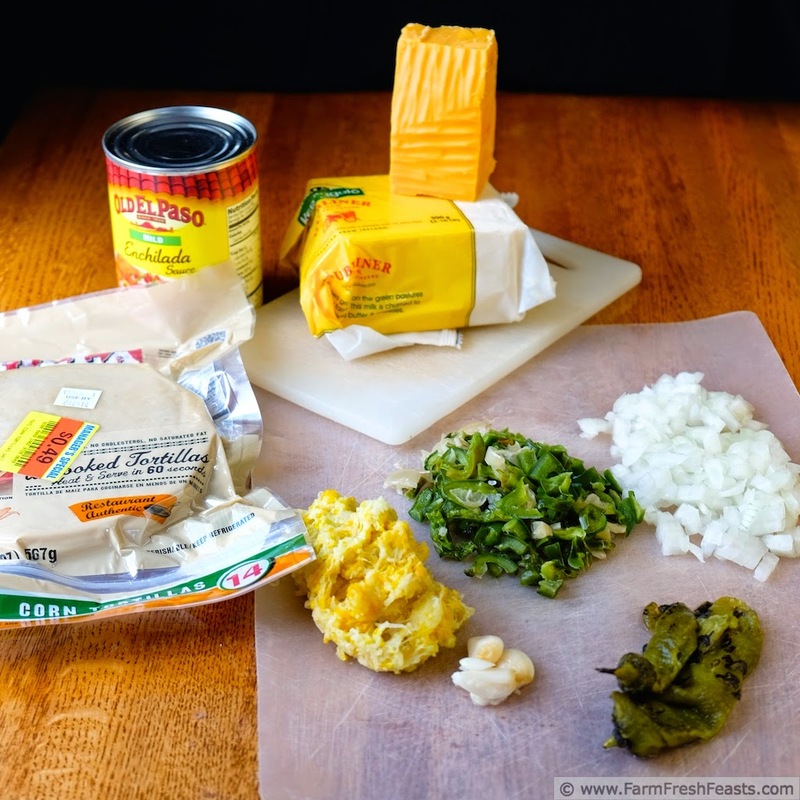 Repeat until all of the tortillas and vegetable mixture are used up. Pour the rest of the enchilada sauce over the tortillas, then top with the remainder of the cheese and the cilantro. Bake for 20 minutes until heated through. Serve. 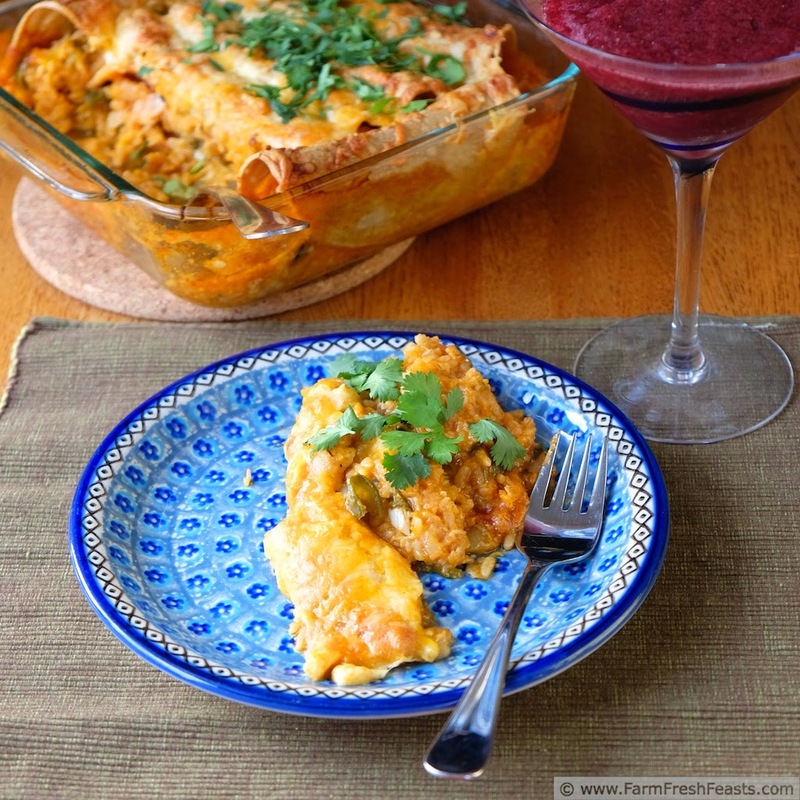 May I recommend a Cheater Margarita Smoothie alongside these enchiladas? I still need to make Enchiladas. I think I even have most of this in my fridge along with some leftover rice. I'm missing the wrap and the sauce and maybe if I can get out of work one day before 7 or 8 o'clock, I might find the motivation to cook. Or write blog posts. Or do anything else other than fall into an exhausted heap every night. Le sigh. Great tip on the zucchini: 2 cups to 1 cup. Thank you. You're very welcome re the tip. Could you send the spouse out for tortillas, and set him to work fixing you dinner & smoothies and getting the warmed oils ready to rub your feet while you fall into an exhausted heap? This looks great. 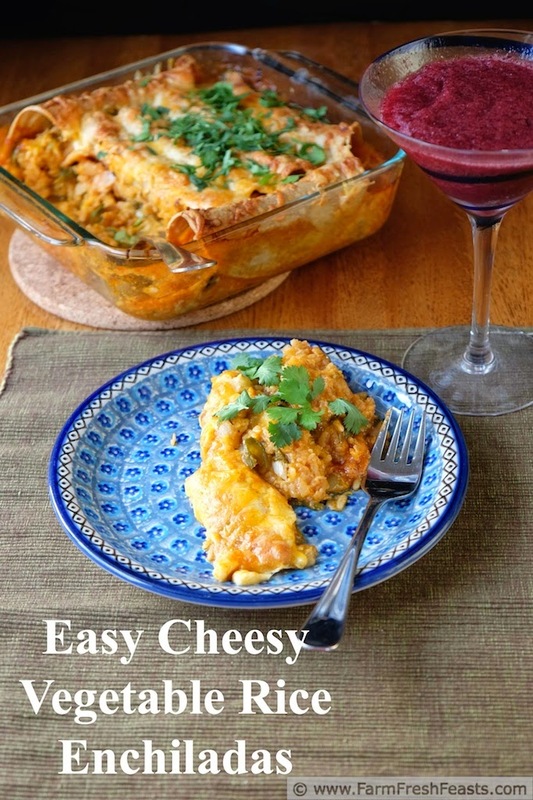 I've never made enchiladas, but this might be the push I need to try it! And any kind of margarita is always a good recommendation. 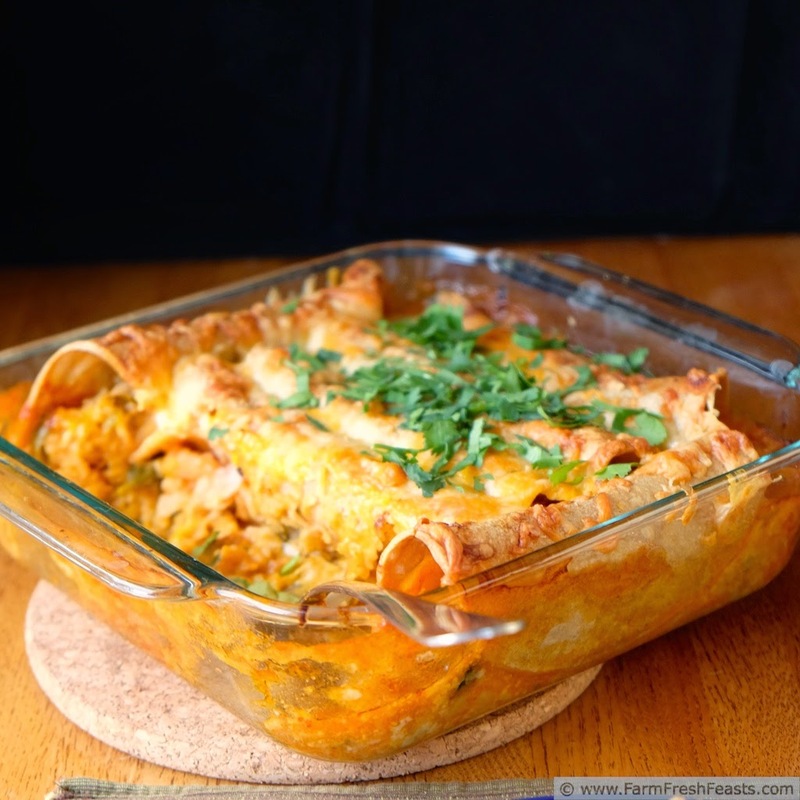 For me, throwing an enchilada casserole together is the easiest way to assemble early/cook later and enjoy these southwestern flavors. We recently had beet & blueberry Cheater Margarita Smoothies that were pretty amazing.